It was a case of one 2019 Rebel honouring another at the recent ACU Annual awards evening held at the National Motorcycle Museum in Solihull. 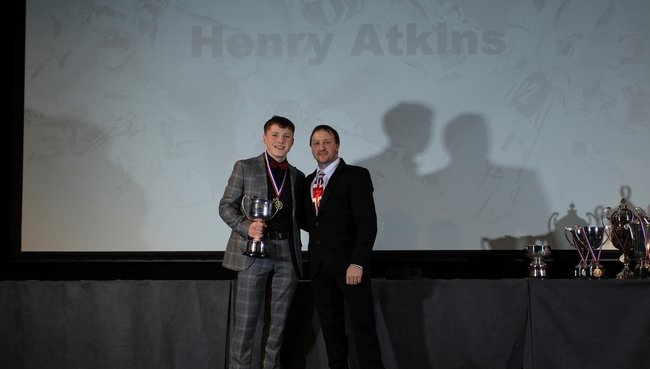 Henry Atkins, back to back winner of the 250cc Grasstrack Championship received his trophy from Chris Harris (as pictured, courtesy of the ACU). Young Atkins however had his eyes on a different trophy all night, as he was sat on the same table as Sue Woffinden, mother of world champion Tai, who was in attendance on behalf of the Scunthorpe-born rider, to pick up the prestigious world championship trophy and the special FIM diploma.